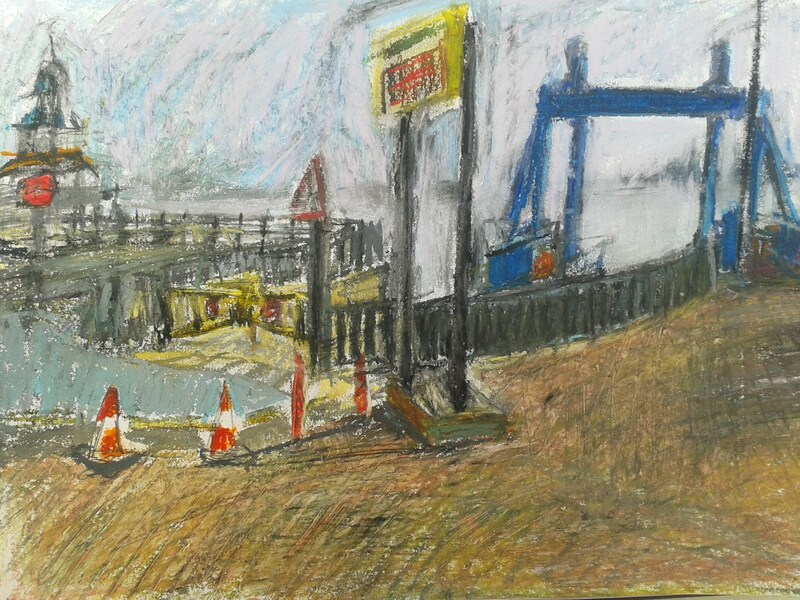 Today I was drawing the Linkspan (the blue structure) and the pier. Visually, it’s total chaos, and parts of it struck me as quite ugly – the peely wally pinkish paving tiles, for example. I found some good colour in the shadows, though, and it’s such a complex site I think I’ll go back. I’m looking for subjects for paintings at the moment, and this one is interesting – the focus for much argument locally and part picturesque, part eyesore. Better aim to do it before the slowly disintegrating Victorian pier finally collapses.